…[T]he novel is the story of a voyage, both an actual and personal/metaphorical one. This voyage is experienced differently by each protagonist and it is for this reason that it is told in alternating chapters, using the unique voice and perspective of each of the four main characters. These characters include Laek, a history teacher with a mysterious, radical past; Janie, an activist lawyer and musician; Siri, a tomboy with secrets; and Simon, a dreamy child addicted to violent screen games. 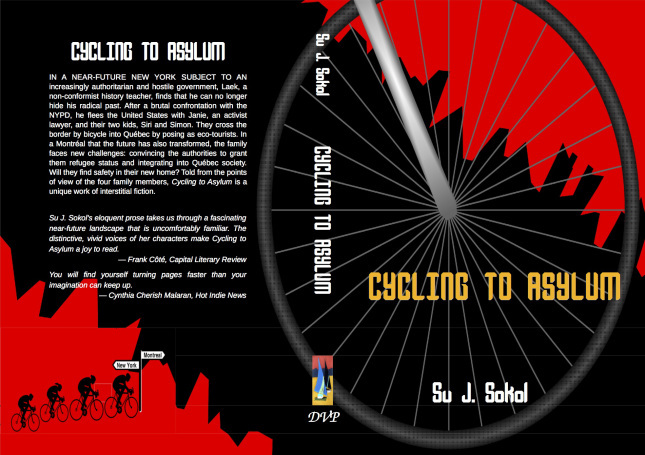 I’m pleased to report that Cycling for Asylum has drama and suspense, compelling characters sharing deep emotions, and a thought provoking political and social context, all sprinkled with clever detail and humor. I read the book slowly, over the course of many Boston subway rides. Its short chapters and compact, memorable story were perfect for that. Concededly, I’m not an unbiased reader or reviewer. 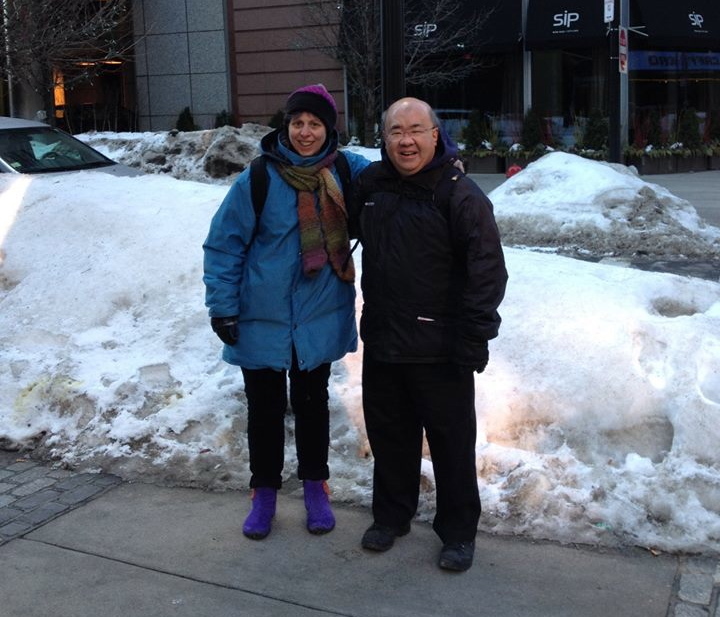 Su is a classmate of mine from NYU Law School, and many years ago she and her husband Glenn lived down the block from me in Brooklyn. During law school and throughout her career, Su has been a strong advocate for the disenfranchised and for social justice, a quality that informs her novel. During lunch, Su told me how important this kind of writing has become to her. That care is evident in Cycling to Asylum, her first published novel. For me, reading it was a fun little revelation. I’d long admired Su’s commitment as a public interest lawyer, a job that often requires the skills of a good story teller to put a client or cause in a favorable light. But a strong knack for advocacy doesn’t make one a novelist, as the world is besieged with wannabe writers holding law degrees! In Su’s case, however, I found myself taken by her ability to create interesting characters and to tell a story. I’m not a literary critic; I either like a book or I don’t. I really liked this one. While riding on Boston’s Orange Line, it drew me into another world of interesting people and times, a journey for which I am very thankful.